5 Tips For Handling Bad Reviews (Because They're Coming) - SEO Eblog by SEO Advantage, Inc. This well-known comic strip to the right gets a laugh from nearly any audience because, as exaggerated as it may be, all of us living in the age of digital commerce know how valuable customer reviews are – both positive and negative. If you’re still breathing and connected to the web, it’s very likely that you’ve changed your mind about a product on Amazon or eBay because of negative reviews. Negative reviews are bad press, so it’s quite understandable that businesses and product manufacturers don’t want to broadcast them to the public. If you operate a service, storefront or ecommerce business, you can be excused for thinking that a bad review is the last thing you want to show potential customers on your website. But if you think that way – and I would’ve thought the same not long ago – you would be wrong…just as I was. Let me show you why. First of all, whether you like it or not, “bad” reviews (in scare quotes on purpose) are coming to get your business, appearing on your doorstep and your contact forms when you least expect it. Even if you don’t allow reviews to be posted on your own website, aggregators like Angie’s List, Yelp, TripAdvisor and many others will continue to exist and will happily display both glowing and raging reports about your business and services. I understand why you’d see bad reviews as a negative and migraine-inducing thing to deal with. But when you switch from the supply side to the demand side in your daily life (finding a restaurant in a new city, for example), then if you’re anything like me you do a 180 and become suddenly grateful that these open forums exist. That gratitude comes as a result of the axiom that no one always gets what they want – not you, not me, not your customers. Is this merely a disappointment, or is it an opportunity? We don’t often reach the Opportunity phase in our thinking about negative reviews because we feel like they are personal attacks and they look like the opposite of what our paid marketing teams worked so hard to produce. We expend great effort to provide the services and gadgets our customers demand, and when they respond with a “thanks, but no thanks” – or worse with scathing and derogatory language and personal attacks – we experience an immediate defensive psychological (and biological) response not unlike the response we experience during face-to-face verbal confrontation. The obvious point I’m pressing toward here is that you and I are all, inescapably, one of “them” at one time or another. All our businesses and all of us make mistakes and fail, even fail miserably sometimes. And all of us, especially your clients, know this intuitively. But part of this natural tendency is to excuse our own shortcomings while highlighting and broadcasting the same things in others. For this reason, running a business successfully requires a dose of humility. I’m sure I won’t surprise you at this point when I say that one of the most effective medicines on the humility list is a negative review. But how can a negative review turn into a positive opportunity for you and your business? 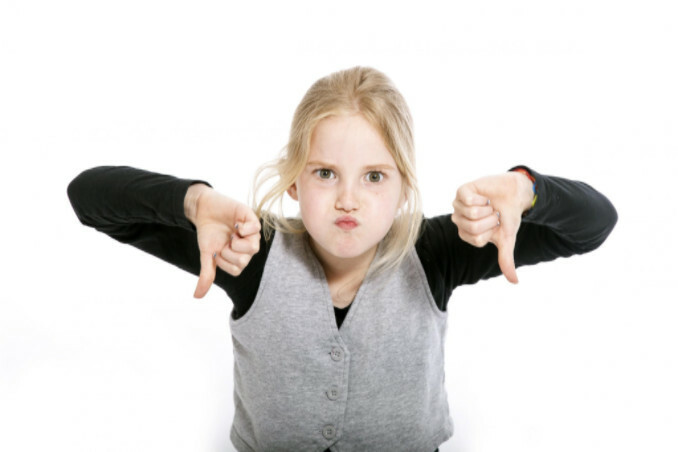 A quick recap: You can’t avoid negative reviews. (Why?) Because all of us fail sometimes and the internet has wide-open forums for upset people to publicly vent their rage and discontent. As fellow human beings, we don’t have license to treat every negative reviewer like they belong to some subspecies below ourselves. Rather, we have to acknowledge that we are part of the same crowd, with many of the same tendencies. Because we all intuitively know that humans and our enterprises are imperfect, we (including your clients/customers) are all skeptical by nature of a product, service or business that has never had a negative thing said about it. Building a business that will last is fundamentally about forging long-term relationships with our customers. If you’ve ever maintained a relationship for any length of time – a friendship, a marriage – you know that (a) conflict is inevitable and (b) the relationship won’t last without humility, apologies and forgiveness. Knowing that your business, you and your employees, will sometimes disappoint your customers, it’s possible to treat that knowledge as an asset and build in preparation for dealing with it appropriately. To existing and potential customers, this approach looks a lot more humane, reasonable and genuine than being supposedly SHOCKED at every failure and then attempting to cover it up or erase every report of it. If you can suppress your initial reaction to negative press, thinking about the situation in terms of relationship preservation rather than self-defense, you can begin to take actions that show your customers and would-be clients that your priority is preserving the customer relationship rather than having an untarnished reputation. Realize that there’s value in a negative review. Whether they intend to or not, the reviewer is pointing out a way for you to make your business more successful. They are giving you a chance to publicly state that you are making your business more successful and that you appreciate difficult feedback. 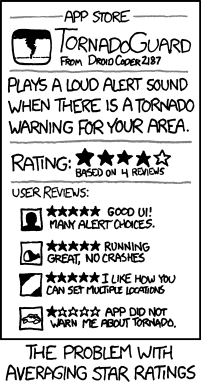 So if your Tornado app actually failed to warn someone about a tornado, wouldn’t you would want to be notified as soon as possible, regardless of repercussions? Of course, it should be understood that the benefit of a negative review can only take effect in the context of a larger number of positive reviews. If your business is only generating negative reviews, it’s time to solve that problem first by incentivizing happy customers to leave good reviews, or fixing your business so that you have some happy customers in the first place, etc. Depending on your vertical and your clients, you may need to adapt these strategies according to the law and the dictates of common sense. First, strike preemptively. Make sure you and your employees know (and get comfortable with) the inescapable reality that they will mess up and disappoint each other and their clients sometimes. Have procedures in place for handling failure without demonizing individuals, whether it’s your employees or your customers. Second, I suggest taking control of all your reviews to the extent that this is possible. This means having a place for reviews on your website (very important, especially for local SEO), and allowing for both positive and negative feedback. You should also be active on major web forums like Angie’s List (where applicable to your business) and definitely on social media platforms, as these places are more likely to attract people who want to post about you but not necessarily to you. Third, give each reviewer the benefit of the doubt when considering their criticism. Don’t get into too much morbid introspection, but realize that we usually have a lot of blind spots and even the wildest critique often contains a little truth. Fourth, I suggest that you always respond to negative reviews. Be sure to craft your response only after you’re past the initial defensive red-face-reaction stage. If it’s possible for you to find out the details of the situation in question (from your business’ side), do so and let that partly inform your response. But all the same, be ready to acknowledge fault and look for reconciliation. Even if the negative review is not constructive in the least or is very badly put together, show yourself to be a well-put-together human on the other side of the fence with no chip on your shoulder. You cannot fail to come off better this way to others, even if the reviewer never responds or responds even more negatively. Lastly, the previous step will not be as effective if you aren’t also responding on a regular basis to positive reviews. Internet onlookers are constantly assimilating a picture of your business, and the only elements they have to work with are the ones you and your customers are providing. Potential customers can’t see your good intentions, but they can see the actions you take. All of us, but especially the Millennials and below, are looking for genuine human beings behind the logo-saturated veneer of corporate enterprises. We make far more powerful connections with other people than with mere images or institutions. Bonus reading: Examples of how NOT to respond to negative online reviews. In an age of extraordinary anonymity, rampant web-based scams, stark polarization and common distrust, your customers are looking for signs that your business is real, legitimate, and above all, human. Those are a few things I have in mind when I use the word “authenticity” in this context. “Genuineness”, though a little unwieldy, is probably the closest synonym. I believe it’s arguable that a negative review (in the context of a business that already has a fair amount of positive reviews) with a good response and resolution directly underneath does more good for your business than a handful of “Good job!” 5-star reviews. The negative review, with your response, highlights a weakness in your organization that paradoxically becomes a strong authenticity indicator. I think you’d agree that almost anything that can transform a negative into a positive for you and your clients is worth the time investment necessary. And what is your business if not the ongoing relationship between you and your customers? The takeaway: Review communication can either build or destroy relationships. Either way, it’s a strong signal to the internet community, carrying a complex representation of who you are, who your customers are, and what your business is and intends to be. Rather than neglect what has come to be a sore spot for many businesses, take the opportunity presented by bad press to address issues, take responsibility, heal relationships (where possible) and show yourself to be genuine, fallible, but teachable and perseverant. Your present and future clients will thank you, and the internet as a public forum will regain a bit of sanity with each business, provider (and consumer) who takes this matter seriously. Thanks for reading! Feel free to leave a comment below or via Facebook if you’d like to add any tips or simply share your thoughts. Michael has always pursued challenges and enjoyed complexity, whether at home, studying, working or just conversing. Heading up the technical and SEM departments at SEO Advantage provides continual opportunity to try his hand at new challenges and address interesting problems, build sustainable solutions and keep his clients online, visible, and attractive to their potential customers. When not wearing one of several SEO Advantage hats, he's likely spending time with his wife and three children, performing at the piano, hiking in the woods, reading cultural criticism, or serving at his local church. Connect with Michael on LinkedIn.